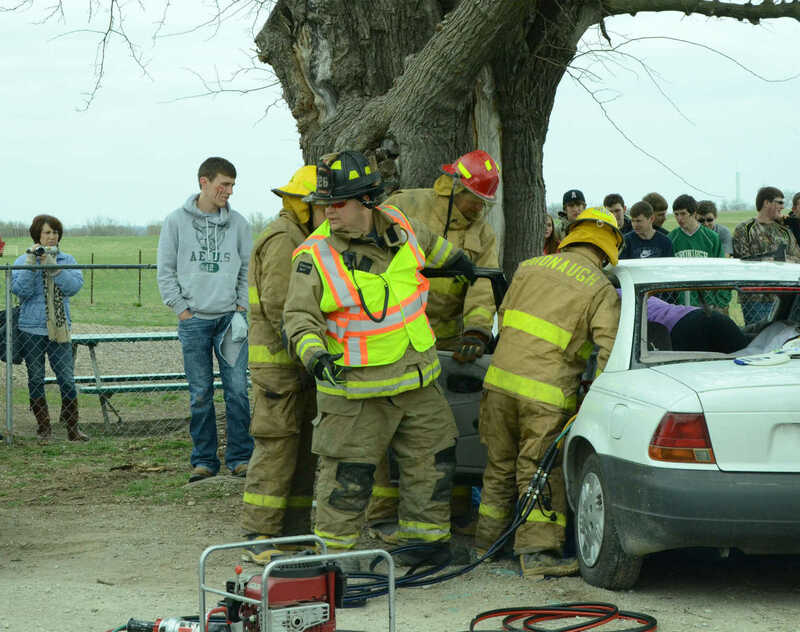 Emergency workers use bolt cutters to take off a car door in the mock crash demonstration at Bronaugh high school on Friday. 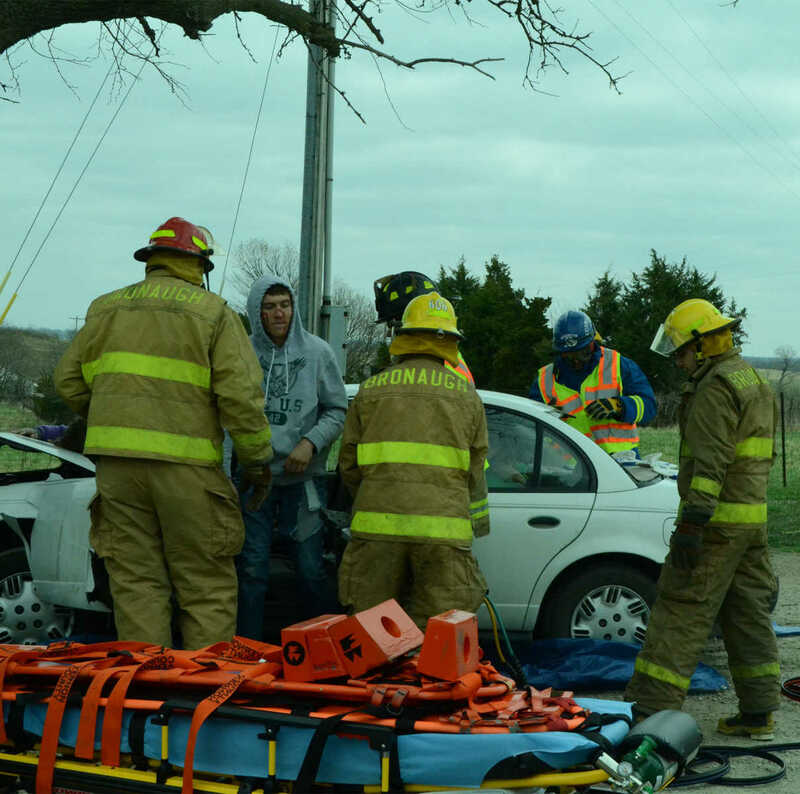 Jacob Hendrix portrays the driver in the mock crash demonstration at Bronaugh high school on Friday. Shelli McGrath, left, and Missy Raper portray distraught family members in the mock crash demonstration at Bronaugh high school on Friday. 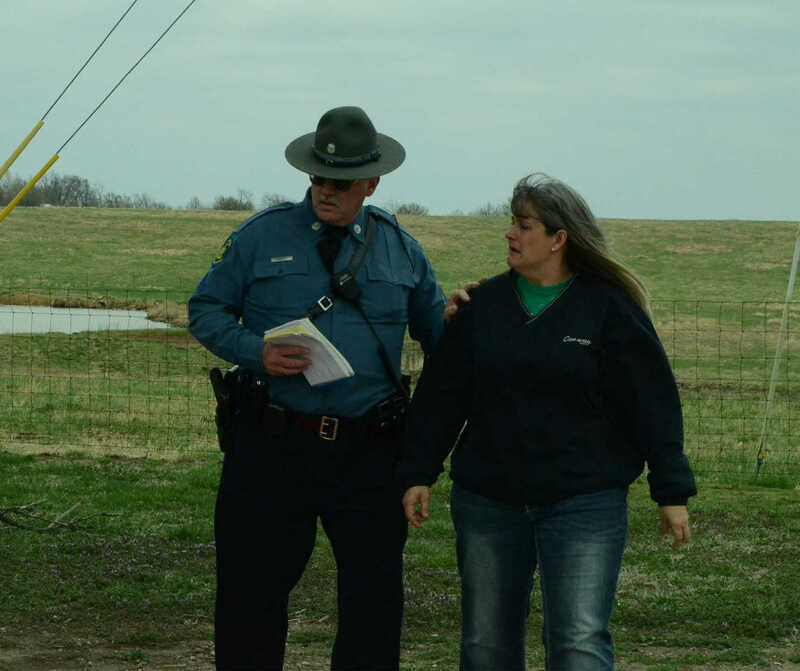 A state trooper interviews Missy Raper in the mock crash demonstration at Bronaugh high school on Friday. 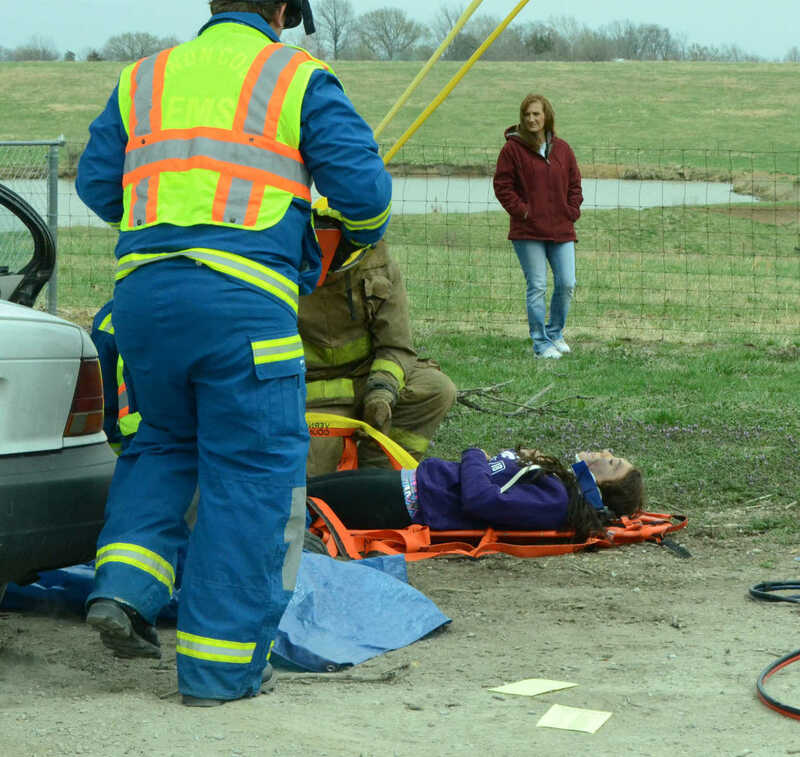 Emergency workers transport victim Taylor Stratford in the mock crash demonstration at Bronaugh high school on Friday.